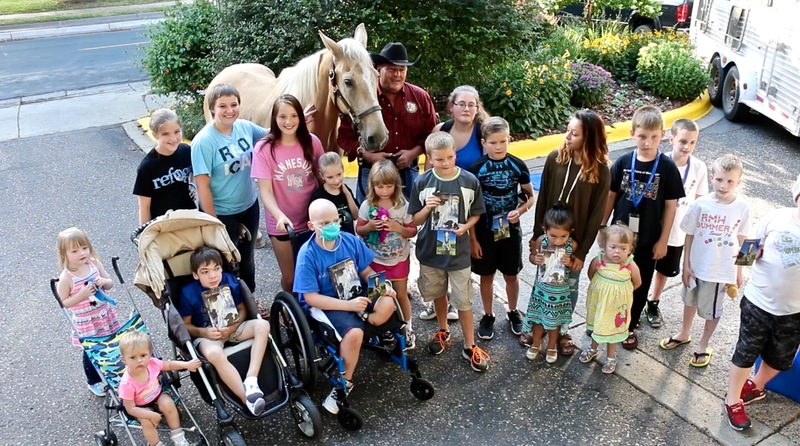 Dusty and Mark travel nation wide speaking and visiting children’s charities. Most recently, Mark and Dusty took a film crew to the wilds of northern Minnesota for a Ram truck commercial. Mark and Dusty took the film crew out in the woods to film black bears. When shooting was complete, they went to Minneapolis, Minnesota to visit the local chapter of the Ronald McDonald House. There, Dusty signed autographs and handed out presents and kisses to all the children. He also handed out his new book! Mark and Dusty travel the country performing meet and greets at schools, book stores and charities such as Ronald McDonald Houses. Dusty is just as much at home surrounded by children as he is in the pasture or on the trail. 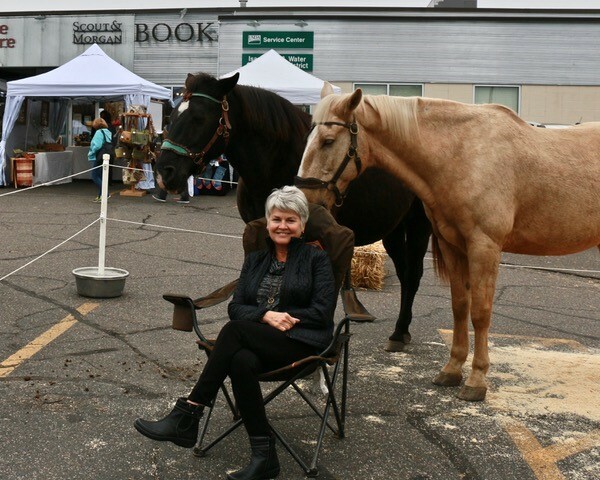 We’d love to hear from you about bringing Dusty to your area! 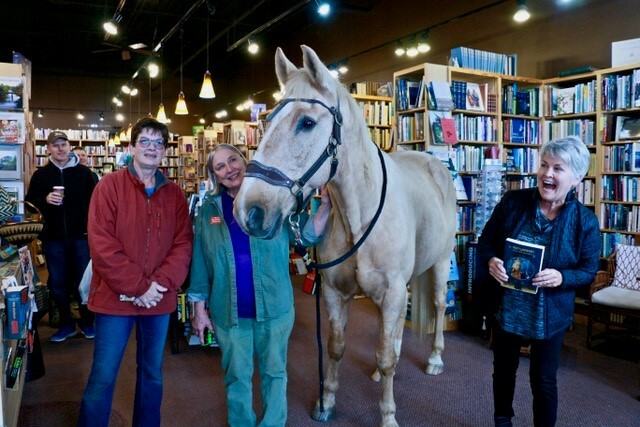 A full size horse in bookstores, schools and studios? Absolutely! 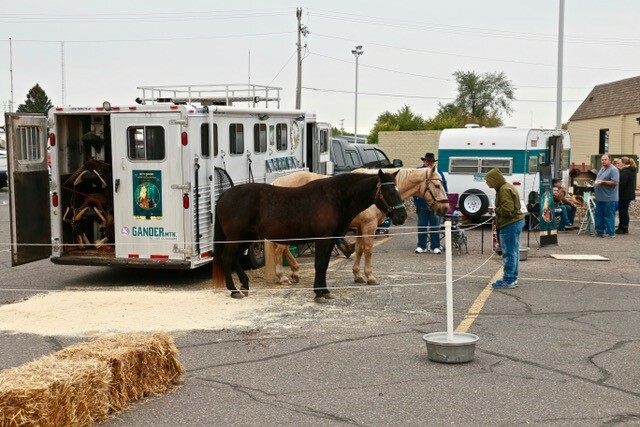 Whether your location is an outdoor set, indoor stage or a simple studio remote, all scenarios are easily accommodated by this mannerly horse. Dusty maneuvers himself as a gentleman indoors or out. 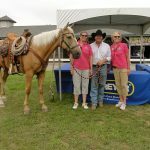 He is an engaging, equine showman who will entertain and charm audiences of all ages on TV Talk Shows, Variety Shows or Radio Shows. Mark and Dusty have an enthralling method of communication which must be seen to be truly appreciated. Not only is it entertaining to witness the pair “converse” and interact, but it is indeed scientifically mesmerizing, as their relationship is truly unique. Dusty is the only horse in the world who does what he does. 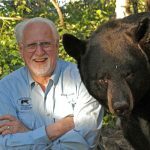 Join Dusty and Mark for personal interviews, audience autographs and animal behavioral “shock and awe”. Dusty WILL be the highlight of your show audiences will not soon forget! 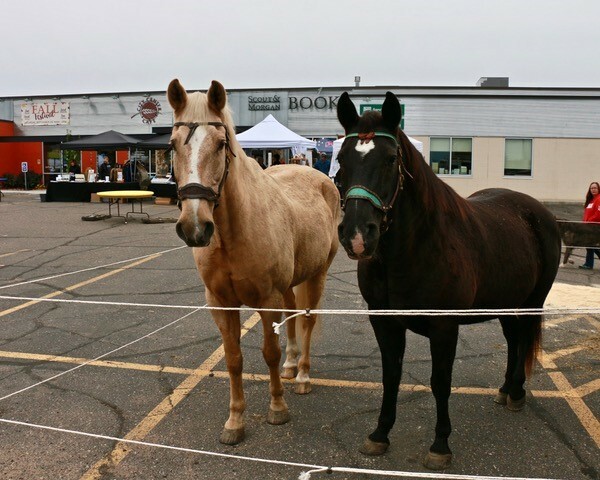 Mark and Dusty love to make personal appearances at schools and bookstores. If you are interested in scheduling a personal appearance please be sure to contact us! Also, be sure to check out the additional information just for bookstores by following the link! 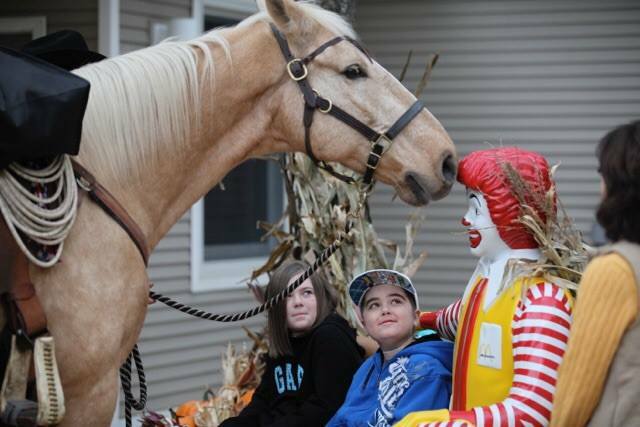 Mark and Dusty have visited Ronald McDonald Houses in many states across the U.S. for many years. However, we are open to visiting children under any non-profit’s name and welcome the opportunity to meet new friends and bring smiles to any children who need it. Fun with Dusty & Daisy! 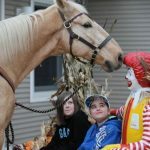 A horse so uniquely kind and empathetic, he has become a favorite at children’s charities nationwide. 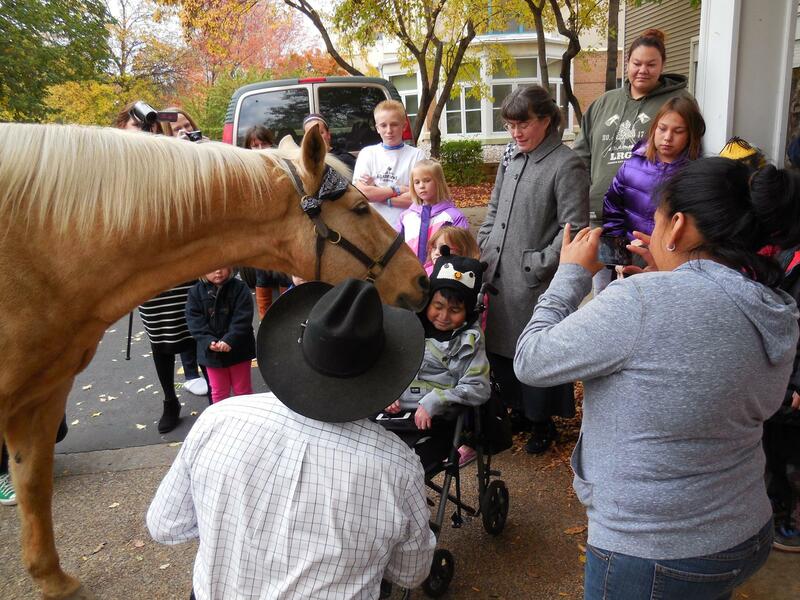 During visits, children gather around to receive autographs from this endearing horse, gentle kisses and small gifts tenderly placed in their hands. 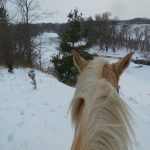 This same horse has adventured across the country, hunting monsters for network television and serving as a wilderness guide to a full range of explorers from all walks of life. A horse who defies all known training principles, baffling expert equine trainers. 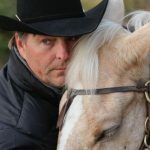 While he is highly trained, there is simply no training that can explain much of this horse’s instinctive compassion and unexpected responses, not to mention his playful antics and inquisitive interactions with both humans and animals. 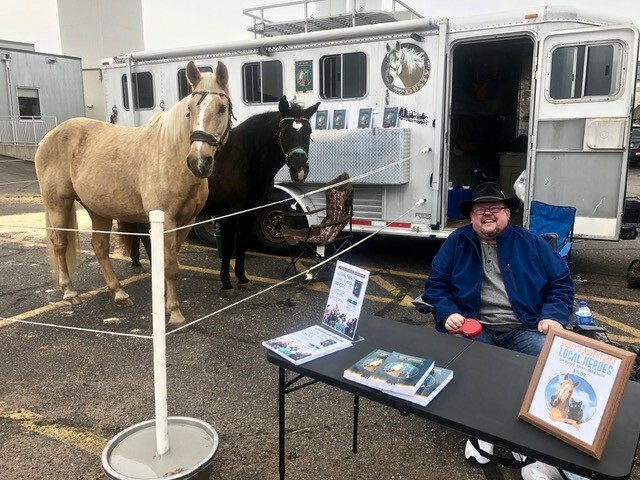 Dusty, a golden Rocky Mountain Horse, not only has a national following and fan base, but now has launched the first of a series of adventure books featuring real life characters and stories, all based on true events, with a bit of magic thrown in. We welcome inquiries about appearances and interviews. 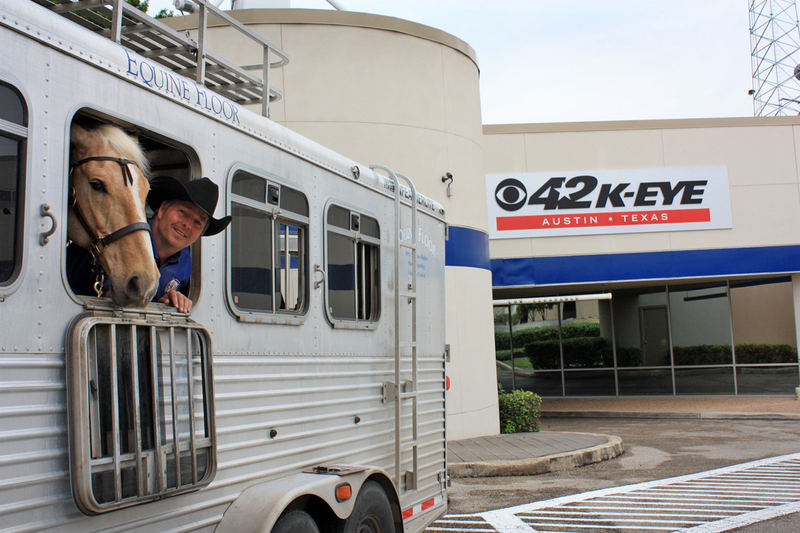 Get in on the Adventure Tour and bring Mark and Dusty to your area! Please feel free to contact us, we look forward to talking with you. 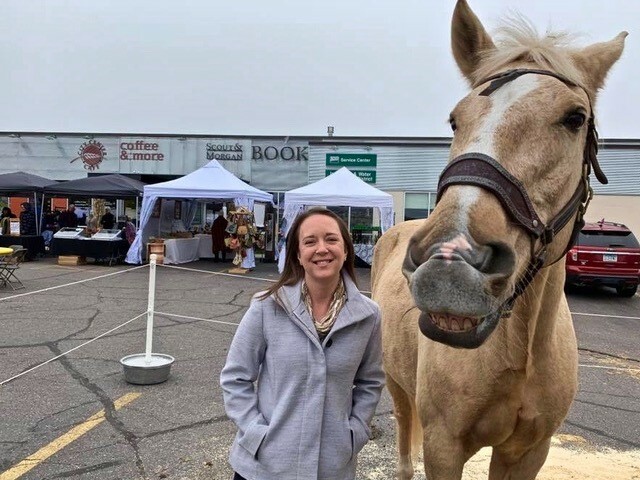 To read more about Dusty’s Adventure Tour, travels and every day happenings in the life of Dusty, Daisy May and Kitten, be sure to follow our BLOG!